For 17 years the World Preclinical Congress has built its niche and expertise around bringing together scientists from academia and pharma/biotech companies involved in drug discovery. In recent years it has focused predominantly on preclinical research, highlighting the various challenges and opportunities that exist in early drug discovery and development. 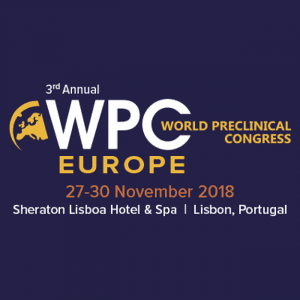 World Preclinical Congress Europe will continue to build on this mission by providing a unique opportunity for scientists and technology providers to share ideas and collaborate to accelerate preclinical work. The venue in Lisbon, Portugal provides an ideal, informal setting for experts based in the European Union to network with their global counterparts to build a strong and diverse community to transform preclinical drug discovery.